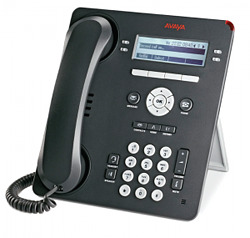 Avaya 9500 Series digital telephones look and function like the Avaya 9600 Series IP Deskphones and can be deployed in mixed digital/IP telephony environments - the premium choice for businesses to add digital endpoints from Telephone Magic with a consistent appearance and user experience. The new Avaya 9500 digital phones series, also known as Avaya one-X™ Deskphones, represents the cutting edge in digital telephones. The family includes two phones designed to meet a wide range of end-user needs. Designed as a stand-alone series, these telephones may be intermixed with Avaya 9600 one-X™ IP telephones. Avaya 9500 digital phones are compatible with release 7.0+ of Avaya IP Office and IP Office Partner Version. Avaya 9500 series digital phones allow small and medium sized businesses to deliver highly reliable, high quality, communication solutions for a range of user types within the organization. 9500 series telephones also offer smart design, crystal-clear sound and productivity features make these phones an easy choice for companies looking to gain strategic competitive advantage from their communications infrastructure. Telephone Magic Inc., a long-time online leader in Avaya IP Office phone systems and telephones, offers the Avaya 9500 series digital phone line at wholesale prices. Jeff Jackson, president of Telephone Magic, notes, "The Avaya 9500 phone line is the new gold standard in digital phones from Avaya, for use with Avaya telephony platforms, such as the Avaya IP Office IP500 phone system. Avaya 9500 series phones feature large, eye-friendly displays, paperless, all-digital labeling, and a high-quality integrated speakerphone that ensures everyone can hear and be heard." The Avaya 9504 phone is a cost-effective digital telephone that provides easy access to the most common functions needed for everyday use. Similar in design to the Avaya 9600 Series IP Phones, the 9504 has 4 feature buttons on three levels (totalling 12 button positions), each with dual red-green LEDs to display status. The Avaya 9504 digital phone also offers 10 fixed-feature keys for common tasks such as contacts, history and message. 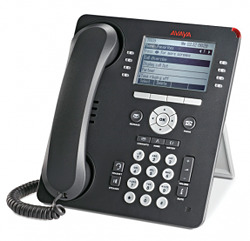 The Avaya 9504 telephone has an integrated, high-quality speakerphone, a headset jack which supports a wide array of wired and wireless Avaya headsets, large capacity contacts and call log functions, context-sensitive interface, 4-way navigation cluster, and 4 soft-keys which simplify and speed up operations. The 9504 also sports a white back-lit 4 line X 32 character display for easy viewing. The Avaya 9508 phone is a full featured digital telephone which is recommended for business executives and managers. The 9508 has eight programmable buttons with three pages for a total of 24 "desi-less" (paperless) buttons and also features a full duplex speakerphone. Similar to the 9504, the Avaya 9508 offers 10 fixed-feature keys for common tasks such as contacts, history and voice mail and has an integrated, high-quality speakerphone, a headset jack supporting wired and wireless Avaya headsets, a context-sensitive interface, 4-way navigation cluster, and 4 soft-keys which simplify use of the phone. Unlike the 9504 however, the 9508 has a much larger 8 line X 32 character display for easy scrolling in call log and contact lists. Jackson says, "There's almost no learning curve with Avaya 9500 series phones. Almost any user will intuitively know how to use the fixed keys to access the most common features and the flexible soft-keys with contextual guidance and prompts. Avaya 9504 and 9508 phones are an excellent value for a growing company and it's designed to remain that way, with expansion options and a headset interface. The 9500 Series delivers significant competitive advantages at its price point while lowering total cost of ownership for our business clients."